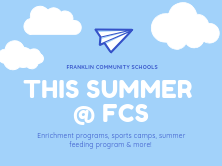 Find out what happened this week at FCS. 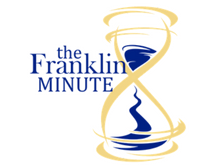 Find out what's going on this summer... Summer Cub Quest, Lady Cubs Basketball Camp, and so much more!! 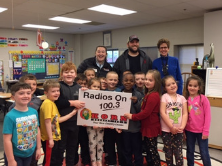 Mrs. Viviano received a surprise this morning when Korn Country stopped by with a prize pack! 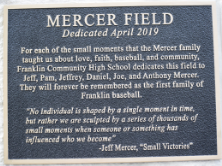 To honor the Mercer family, the Franklin Community High School Athletic Committee made the decision to name the varsity baseball diamond, Mercer Field. 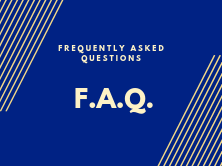 FCS and EnviroForensics provide additional answers to some often asked questions. 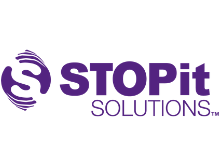 FCS is excited to announce the launch of the STOPit app, an online reporting tool designed to deter and mitigate bullying, cyber abuse, and other inappropriate behaviors. Last spring FCS invited our school communities to share their thoughts about what we're doing well and where we can improve, then review and prioritize the thoughts of others by assigning stars to the ideas that were most important to them. School Calendars for the 2019-2020 and 2020-2021 school years have been approved.